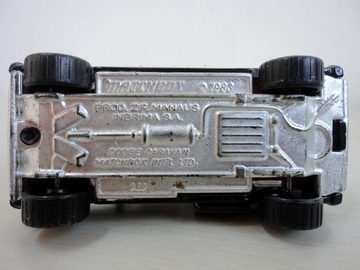 Inbrima is one of the names used by Brazilian Matchbox licensee ("Industria de Brinquedos do Amazonas"). It is found on some of the labels attached to the bases of Brazilian-made Matchbox models from the 1970s. The name is also identified on these 1970s picture boxes and cast on the baseplates of 1980s Brazilian Matchbox models. The Inbrima company was the successor of Roly Toys; the renaming had happened in 1975 approximately. Production continued until about 1990, and for a while Inbrima also assembled Majorette models.